Change the world with your creativity and break fresh ground! 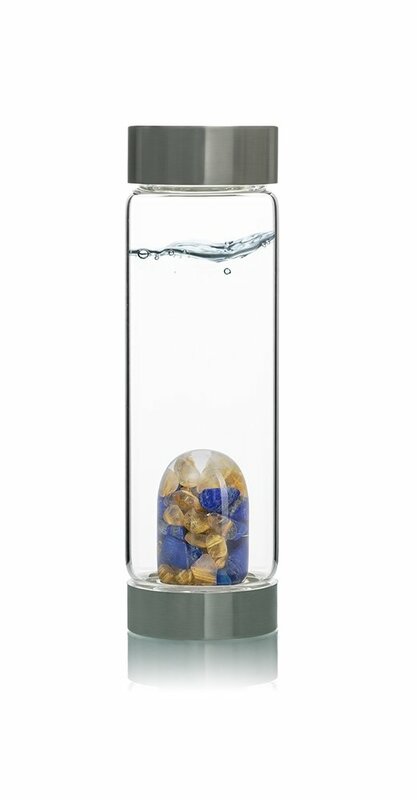 Get inspired by enjoying a glass of GemWater from this enchanting combination of rutilated quartz and the deep, celestial blue lapis lazuli – a symbol for spirituality in ancient Egypt about 6,000 years ago. The beautiful, golden-streaked rutile is said to energize and to improve awareness. Your brain is made up of about 75% liquid. Research has revealed that drinking water when we feel thirsty boosts our brain's performance. Feedyour brainpower every day with this very special blend of GemWater.